Establishment No. 22 – Operation Eagle: This badge represents a military alliance/pact between India, Tibet, and the United States of America. Its first combat mission was in Chittagong Hill Tracts which unfolded on 03 November 1971. 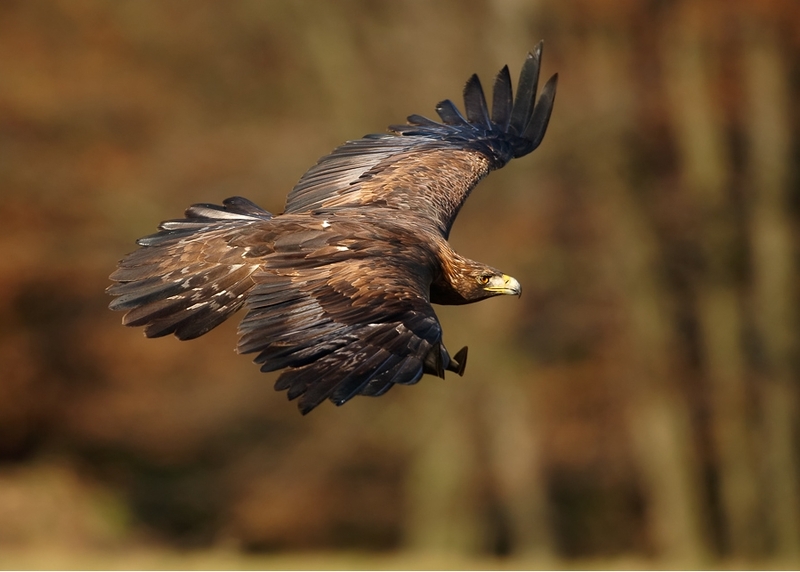 It was named Operation Eagle. It accomplished its mission of securing peace in the region that is now known as Republic of Bangladesh. ESTABLISHMENT NO. 22 – OPERATION EAGLE: IT WAS AN ACT OF UNDECLARED WAR ON PAKISTAN SANCTIONED BY PRIME MINISTER OF INDIA TO SECURE PEACE IN THE REGION NOW KNOWN AS THE REPUBLIC OF BANGLADESH. Under the provisions of International Law, the Laws of War that deal with the nature of armed conflict between nations, and according to the rules of Warfare, the military action called Operation Eagle was an act of “Undeclared War” that was duly sanctioned by the Prime Minister of India. However, it must be noted that this undeclared war of aggression is not a ‘War Crime’ as it was waged on behalf of Bangla refugees in India and the purpose of this War was to secure Peace in the region that is now known as the Republic of Bangladesh. This War of India on Pakistan must not be confused with the War of India on Pakistan that the Prime Minister of India had formally announced to the country on 03 December, 1971. This military action called Operation Eagle unfolded on 03 November, 1971 with violation of territory in Chittagong Hill Tracts that was under the national jurisdiction of the Government of Pakistan. Operation Eagle began with land invasion and on 09 November, 1971, Prime Minister of India had sanctioned the violation of Pakistan’s airspace in support of this War. Operation Eagle was an act of “Unconventional Warfare” and the rules of the game were approved by the Prime Minister of India, and I am openly demanding that the rules of this game must not be changed after we had played the game and the game is over. Establishment No. 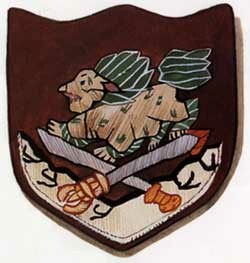 22 – Operation Eagle: At Mobile Reserve Force, Establishment No. 22, the elder brother of His Holiness the 14th Dalai Lama, Gyalo Thondup had spoken to the chief players of Operation Eagle. The military mission called Operation Eagle was executed by the Tibetan fighters who serve in Establishment No. 22/Special Frontier Force which is a military alliance/pact between India, Tibet, and the United States. 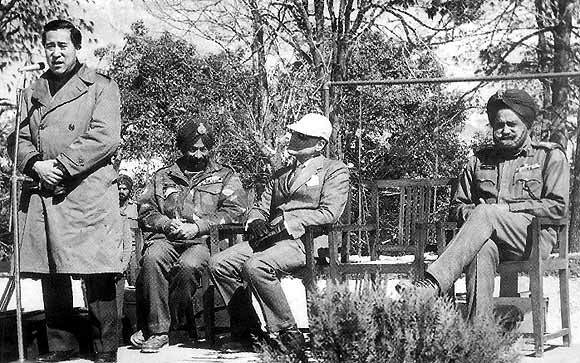 Major General Sujan Singh Uban, Inspector General Special Frontier Force, Secretary R. N. Kao of Research and Analysis Wing(RAW), and Brigadier T S Oberoi, the Commandant, Establishment No. 22 are seen seated behind the speaker. Establishment No. 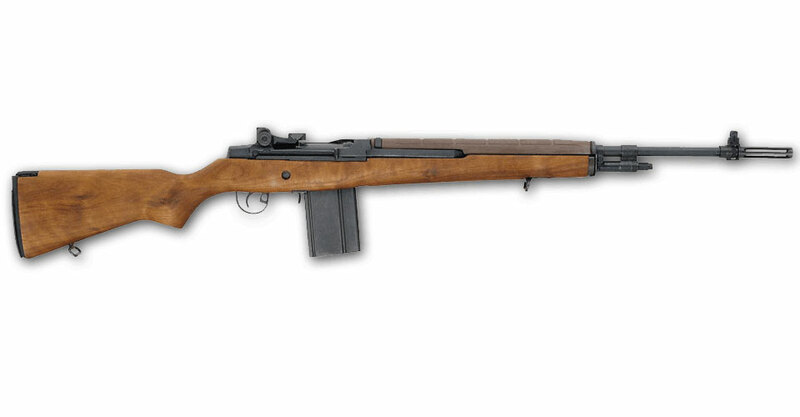 22 – Operation Eagle: Most Americans would be able to easily recognize this Vietnam War Era Infantry Assault Rifle. Operation Eagle had used these Rifles with a great success during India’s Undeclared War on Pakistan in 1971. American troops did not participate in this military action but the United States being a partner of the military alliance/pact with India and Tibet could not avoid its participation as Establishment No. 22 chiefly operates using US military equipment and field supplies. 1. MODEF/E/2011/00761 dated 24 September 2011. 2. CABST/E/2012/00154 dated 26 May 2012. 3. DARPG/E/2013/82606 dated 07 September 2013. 1. PRSEC/E/2009/05526 dated 25 August 2009. 2. PRSEC/E/2012/19182 dated 27 November 2012. 1. A gallantry award is always granted in recognition of a past event and the gallant event would always exist as a past event. 2. In the history of Republic of India, for the first time during 1971, the Prime Minister sanctioned a military action that was not planned by Indian Army/Ministry of Defence. 3. Operation Eagle, in which I had the honour to participate was not planned and executed under orders issued by Army Headquarters/Ministry of Defence. 4. The gallant action which received the recognition for grant of gallantry award did not happen in the context of a border skirmish or that of a border conflict. 5. It was not related to the conventional, official War on Pakistan that was formally declared by the Prime Minister on 03 December, 1971. 6. The gallant action pertains to a deliberate, planned attack deep inside the territory defended by Pakistan’s regular army. I had participated in all the aspects of the planning of this attack, and had physically marched on foot along with the men who had executed the attack. 7. There was no Regimental Aid Post at the border, inside Indian territory of Mizo Hills. The battlefield casualties were treated at the enemy post that we had captured. The treatment of battle casualties began at the site of battle, about 40 miles from the international border. 8. The Brigade headquarters which had the primary responsibility of airlifting battle casualties could not dispatch the helicopter provided by the Aviation Research Centre(ARC) as the Prime Minister did not sanction the violation of Pakistan’s airspace during the first phase of Operation Eagle. 9. I, as the Unit Medical Officer, took the initiative, went beyond the Call of Duty, to ensure a safe, and timely evacuation of the battle casualties to preserve the morale of the men and had shaped the success of this military mission. I had marched a distance of over 80 miles from Sunrise to Sunset to complete my task inside the enemy territory while the enemy was still dispersed in the area. 10. Indian Army concluded its military operation on 16 December 1971. Operation Eagle concluded its military operation during January 1972. 11. The fact that the Prime Minister had established the Eligibility Criteria for the sanction of gallantry awards to the participants of Operation Eagle could be proved by the simple fact that the gallantry award of Vir Chakra was given to Shri. G. B. Velankar, a civilian officer of my Unit who was allowed the use of Major’s rank on a honorary basis. The eligibility criteria, as sanctioned by the Prime Minister, stipulated that only Indian nationals could be granted Indian Army Medals, Decorations, Military Honours, and gallantry awards. The foreign nationals who executed the War were not allowed the grant of those awards. 12. Under the battle plan of Operation Eagle, the Prime Minister did not impose any time restrictions as this War was not a conventional battle that Indian Army routinely fights and participates in its long history of battle tradition. 13. Special Frontier Force had strictly followed the guidelines, and the citation that approved the grant of gallantry award was directly sent to the Director of Medical Services(DMS-Medical Directorate, Army Headquarters) as I was serving at Establishment No. 22 on deputation from the Indian Army Medical Corps. This citation reached the DMS(Army) in a timely manner before the conclusion of Operation Eagle. 14. I am not responsible for delivering the citation to the MS Branch, Ministry of Defence while I am deployed on operational duty in Chittagong Hill Tracts. It will be totally unacceptable if the Medical Directorate had failed in the performance of its duty. I should not be penalized for the failure of Army and its Medical Directorate.